This low profile snare stand utilizes Gibraltar’s Turning Point L-bar Aluminum Arrow Lite leg base to take the weight out of the stand. This stand also features the Ultra adjust snare basket adjustment giving unlimited positioning with a single T lock that locks in position. 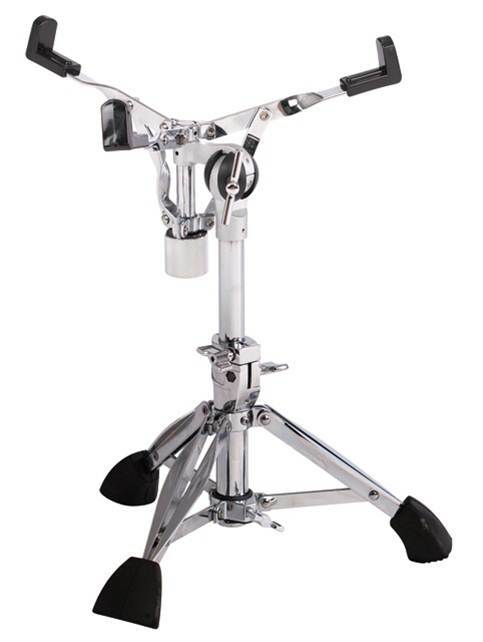 Stand adjusts to a low setting of 13 inches to accommodate deep snare drums.